Because wherever people cross paths and linger, wherever we gather informally, strike up a conversation and get to know one another, relationships blossom and communities emerge - and where communities are strong, people are safer and more stimulated and lead happier, more active... read full description below. How can we bring people together? 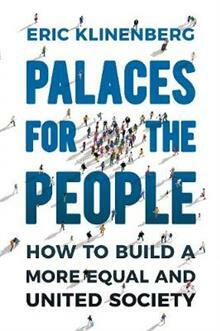 In Palaces for the People professor Eric Klinenberg presents a simple but transformative idea for health, happiness, safety and healing our divided, unequal society. Too often we take for granted and neglect our libraries, parks, markets, schools, playgrounds, gardens and communal spaces, but decades of research now shows that these places can have an extraordinary effect on our health and wellbeing and that of society as a whole. Why? Because wherever people cross paths and linger, wherever we gather informally, strike up a conversation and get to know one another, relationships blossom and communities emerge - and where communities are strong, people are safer and more stimulated and lead happier, more active lives. 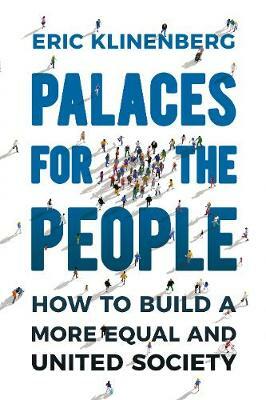 Through uplifting human stories, Palaces for the People shows that, properly designed and maintained, this `social infrastructure' demonstrably increases health, reduces crime, fosters tolerance and stability and, in emergencies, saves lives - more efficiently than any single other strategy yet devised. Eric Klinenberg is Professor of Sociology and Director of the Institute of Public Knowledge at New York University. His pioneering research into the power of social infrastructure led to his appointment in 2013 as Research Director for President Obama's $1 billion programme to rebuild the region affected by Superstorm Sandy. He is the multi-award winning author of several books including, as co-author, the recent number one bestseller Modern Romance.